I am definitely not a baker but decorating cookies is one of my favourite things to do at Christmas. 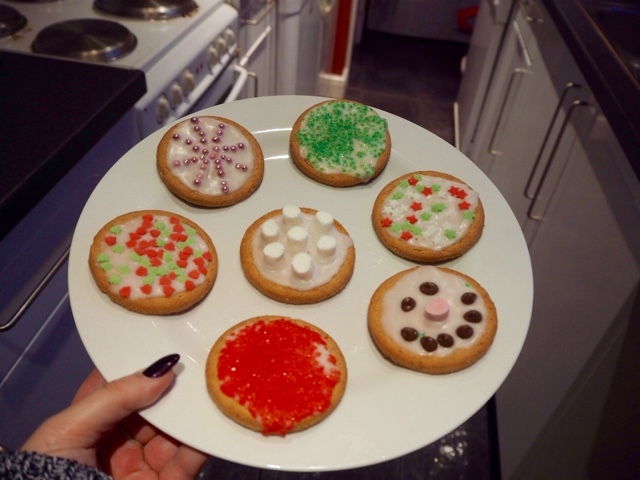 Growing up, me and my brother would often decorate cookies and when he came round to mine the other day we thought it would be fun to re-live our childhood. So we bought some Digestive Biscuits, icing sugar and Christmas sprinkles, popped on some festive music and got decorating. It was so much fun and so easy to do, I love the little snowflake one on the top left. After we'd cleaned up we watched The Grinch, one of my all time favourite Christmas films, taking the plate of Christmas cookies with us of course! It was a lovely Christmas afternoon. What do you like to do on a lazy December afternoon?